Bubbly scales of blue and green flow freely through our Aussie Green mermaid headband for kids! Now you can hold back your flowing hair AND match your Aussie Green tail in style! 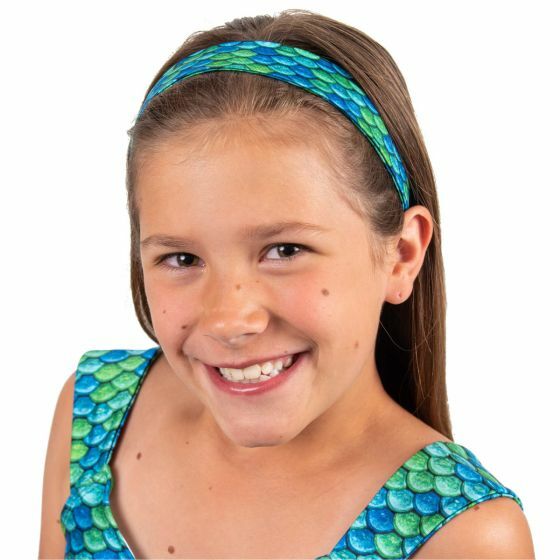 For those days your inner mermaid can’t be denied, our mermaid headband for kids in Aussie Green is just the thing! 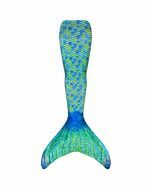 Wear it to school with your favorite tee or rock a full-on mermaid look when you pair it with your Aussie Green Mermaidens tail, leggings or swimwear! 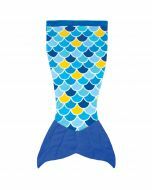 Featuring a non-slip grip, this stretchy headband will easily hold your hair into place when you’re out enjoying the mermaid life.